Are you ready to delve into the world of entertainment on an entirely different level? And enhance your Japanese while you’re at it? Variety shows are very common in Japan and Korea, going toe-to-toe in popularity with television dramas. That’s quite a feat, considering that Asian dramas usually enjoy a vast number of viewers. But these shows aren’t just fun, they’re also educational, believe it or not. Well, at least for those of us who are learning Japanese. What exactly can we learn from them? A lot! And not just a lot of one thing, but, well, a variety of important stuff. You can think of each show as a different type of Japanese teacher—each one appeals to different interests and tastes and will teach you different skills and aspects of the Japanese language. So let’s go meet them and find out what they have to offer! You know those athletic competition TV shows like “Ninja Warrior” and “Wipeout”? Where competitors try to win and put their name on 番付 (ばんづけ), or the leaderboard? Yeah, you do, and those are hilarious, right? As is this one. But this one should be wearing a cape and armor, because it is the father of them all! Indeed, this is pretty much the first show that stepped into the realm of presenting seemingly impossible physical scenarios (only for them to be conquered by some very persistent and diligent contestants). But how does this fit into our studies of the Japanese language? That’s simple. It provides a much-needed cultural angle. It’s imperative for a person who’s learning a foreign language to immerse themselves in the culture of that language, in order to establish the best possible connection to it. Maybe even more so if that language and culture is Japanese, since it tends to have such specific cultural features. To put it simply, this show gives cultural insight by crushing the stereotype that says Japanese people are too serious and boring. Most of the contestants are normal, hard-working citizens of Japan. Yet here they are, laughing and making fools of themselves after work hours. That’s because they know how to have fun and blow off some steam along the way. This phenomenon is a big part of the entire Japanese culture—the ability to make the most of one’s life in all areas. It’s very interesting to see how all those comical yet serious athletic TV shows of today came to be. Plus it’s just fun to hear what people who speak a different language tend to shout when they collide or fall, am I right? Because this show is relatively old, it may be difficult to find full episodes of it. But fear not, there are plenty of video clips available. This one is the most interesting, so be sure to check it out. Go on, do it. That translated title is so weird, like the name of some mutant faction from “X-Men.” Let’s just call it an amateur singing show, since that’s what it is. Some would say this show is a clone of “K-pop Star” or “X Factor” or stuff like that. Well if you’re the one saying that, ha! You’re wrong, haha! Joking aside, the reason why we put it on our list is the thing that separates it from the aforementioned, and the reason why it’s beneficial for Japanese learners in a way those previous shows are not. You see, each episode is aired from a different location in Japan. Each time it’s a different city, but sometimes the city can be one that was the show’s host already, if it’s been a while. At the beginning of each episode, there’s a short segment dedicated to familiarizing the viewers with the location from which the show is broadcast. So this way, you get to learn a thing or two about Japan. On top of that, you get to hear great Japanese musical classics, as well as some modern music that’s popular in Japan today. With this show, like with “Banzuke,” it also may be somewhat difficult to find full-length episodes. But don’t despair, YouTube is full of contestants’ performances from this show. Enjoy! 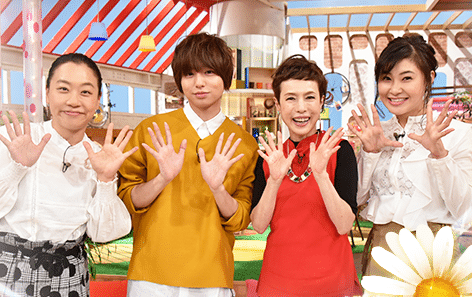 The Popular Funny Teacher: “ひみつの嵐ちゃん！(ひみつの あらしちゃん！)” — Arashi’s Secret! I’m pretty sure that us Westerners don’t have a show quite like this. Not only is it run by pop idols, but it’s also a combination of a competition, talk and comedy show all at once. The transitions between semi-formal and informal speech are useful for us learners because it makes our thought process in Japanese more fluid. It allows us to flip the switch between formal and casual talk in dialogues more easily, if needed. Moreover, the cultural aspect of singers and idols participating in comedy shows in order to present themselves as regular folk is also important to note. They don’t act all high and mighty as many celebrities do. 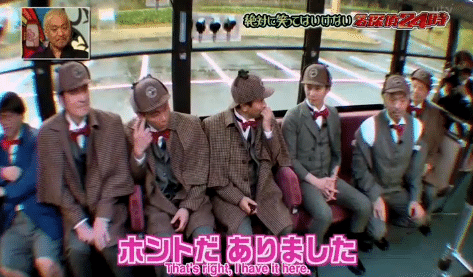 The hosts are Arashi and members of Othello and the show consists of different segments, including V.I.P Room, V.I.P Limousine, Mote Mote Arashi!, Dame Dame Arashi!, Mannequin 5, Host Royale, Ranking Derby, Doubt Actor and Arashi Sharehouse. Some are talk-show bits, others are a kind of competition. My personal favorite is the Doubt Actor because it’s loads of fun. On top of that, the guests who appear on the show are mostly celebrities, so that gives you insight into Japanese popular culture. Unlike some of the shows from our list, “Meringue” is current and ongoing—it airs at about noon every Saturday, Japanese time. I recommend you watch the latest ones just to catch up with the current trends in Japan. “Banzuke” is the father of those athletic variety shows, but this one is the father of all modern variety shows, in my opinion. Just like “Banzuke,” this show is relatively old, being off the air from around 1992, which is exactly why it’s found its place on our list. It provides a chance for you to familiarize yourself with a tad older version of Japanese, as well as that good old Japanese sense of humor. The concept of the show is pretty simple. It’s a series of comical sketches that portray parodies of everyday situations. Somehow it reminds me of “Monty Python,” only done in the Japanese way. To put it short, comedy galore. This show features viewer-submitted home videos as one of its segments. Actually, the TV show “America’s Funniest Home Videos” was based on this specific show. Can’t get enough of those interesting facts. Since the show is old, there’s no official page or streaming links. But once again, YouTube comes to our aid. Be sure to check out this video, my favorite. The Jokester Teacher: “ダウンタウンのガキの使いやあらへんで! (だうんたうんの がきの つかいや あらへんで！)” — Downtown’s This Is No Task for Kids! Finally, the time has come. The time to give you a ticket to a whole new idiotic world. The world of Gaki no Tsukai. But first, let me just explain why this show can be important for us Japanese learners. For starters, the opportunity to hear very casual, sometimes even rude talk on a TV show is pretty rare. Unless you have close Japanese friends with whom you use these speech patterns, you won’t get many chances to actually hear them in use. Moreover, all of the comedians who run this show are from the Osaka region. That means… exactly. Osaka dialect. Very important for Japanese learners. If you have no clue about this dialect and you go to an area in which it’s spoken, you won’t even understand simple street signs, let alone some native dialogues. These guys have been in the business for a very long time. And they’ve produced quality comedy for all those years. Naturally, continuing to do so is harder every year, repetition being an unforgiving opponent. My Japanese best friend (shout out to Ryo) told me that the Japanese mostly think they have gotten somewhat boring, but even so, their New Year Specials always prove to be a success, making all those who watch them laugh out loud. The show has different segments like the Batsu Games, Kiki Series and Silent Library, but the thing that ties them all together is… punishment! Failing to do a task brings on pain, or some other kind of discomfort. Sure, it’s not so fun when we get socked, but it’s fun when other people get socked. Which is why we love to watch it! Here’s a link to a website that provides episodes of the show with English subtitles, neatly organized. I recommend the Silent Library challenges, I think you’ll love them. Whether it’s comedy, competition or something entirely else, variety shows from Japan always do it in such a specific way that it’s hard for anyone to try to reproduce it. The end result of these shows is always the same: Quality entertainment. 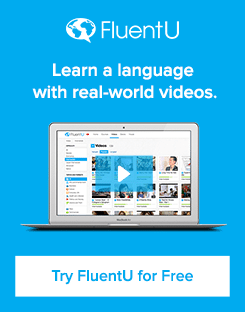 Add the opportunity to learn the language to that and you’ve got the perfect studying tool. Fun and educational. Isn’t that just perfect?